Congratulations to Dr. Lester Meriwether, Literacy Connexus Executive Director. 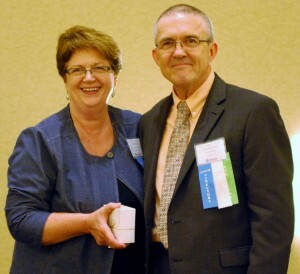 Lester was honored at the Literacy Texas Annual Conference in Austin, Texas on August 7, 2012. Achievements cited included his creation of Books for the Border and Beyond, a project that encourages and equips parents to read to their infants and small children. Under his direction, the project has recruited hundreds of volunteers from churches across the state to help build bookcases and contribute books to some of the poorest families in Texas. Dr. Meriwether was applauded for his tireless work in guiding the development of faith-based literacy programs, an achievement for which he is recognized nationally. We’re proud of our leader.